Thanks to Mike McCall for sharing this photograph. 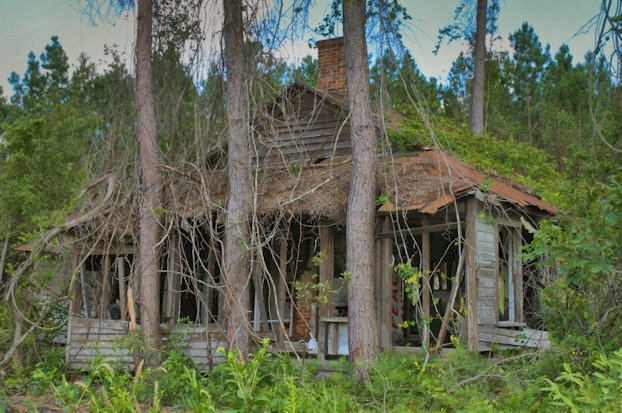 This Plantation Plain house, which was located near the traffic light in Ludowici, has been gone for quite a few years. I’ll share more information when I have it. 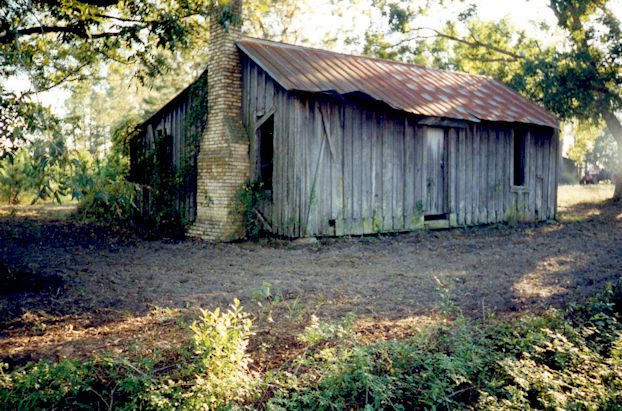 This was photographed in 2002 and gone by 2010. 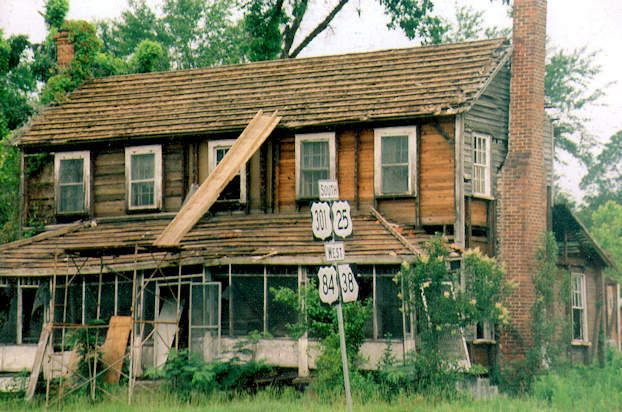 This was photographed in 2001 and razed by 2010. 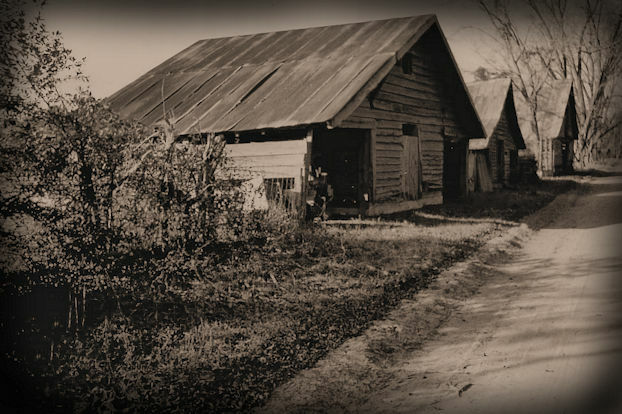 This large Craftsman farmhouse and row of barns on Peach Road were obviously the center of a busy farm at one time. 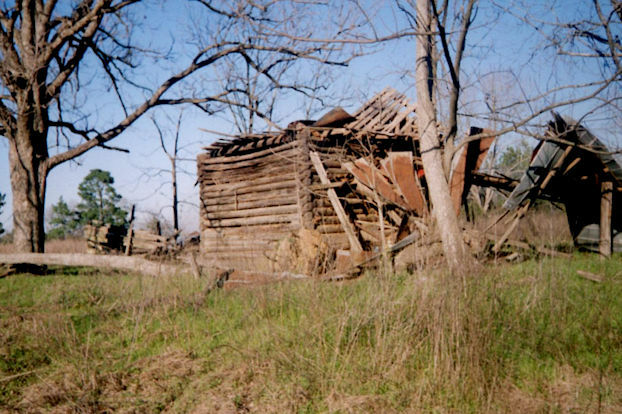 I made these photographs in 2001 and the structures were all gone by 2010-12. 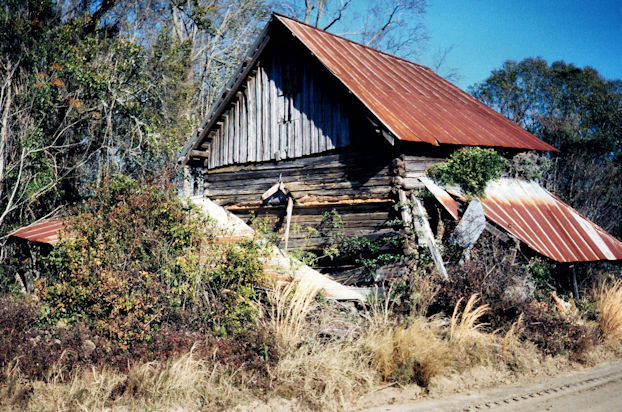 This film photograph, from 2002, is an earlier view of the barn near Spring Hill Primitive Baptist Church, seen here. 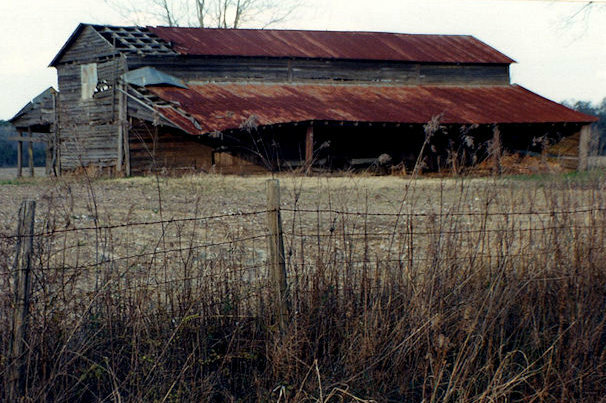 It was the first tobacco barn I was able to document over a long period of time. 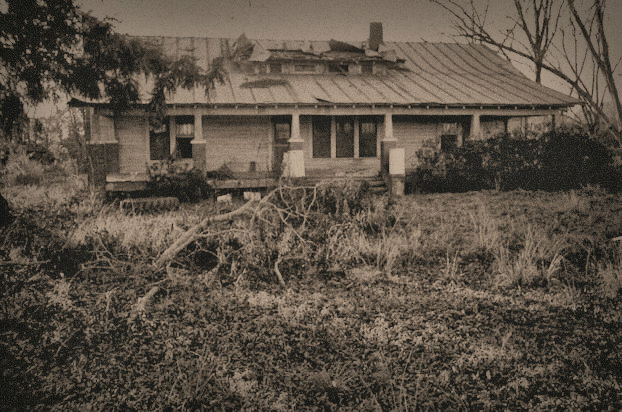 Nancy Harper Redman writes: Hoke Deberry owned this property, which includes the spring from which the church gets its name…My Dad (the late Marcus F. Roberts of Berrien County) was related to some of the Deberrys. He played in that spring and woods when he was a small boy. This film photograph was made in 2001. This structure was demolished by 2013.